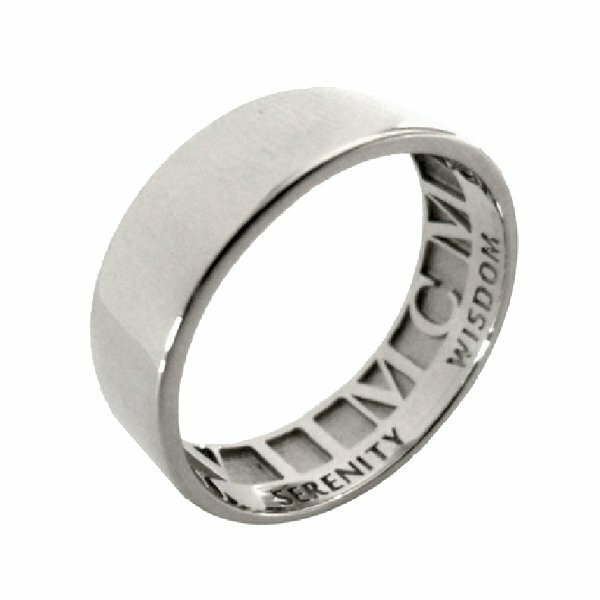 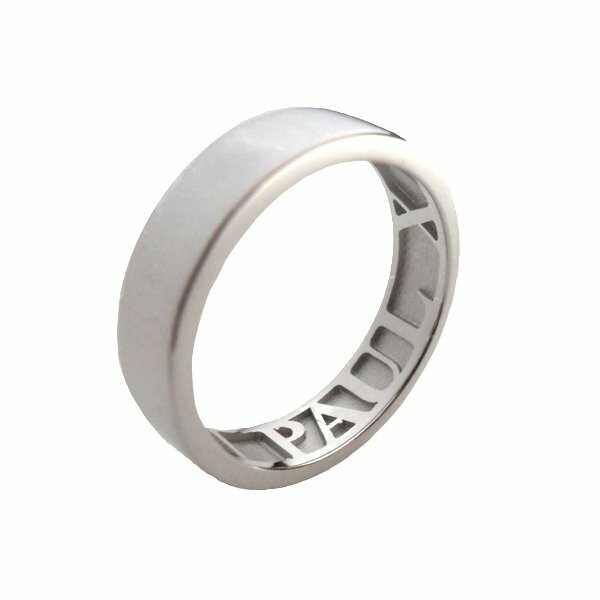 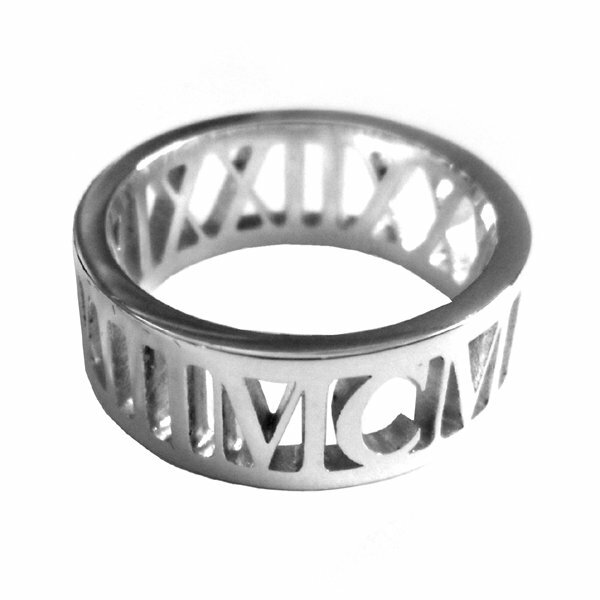 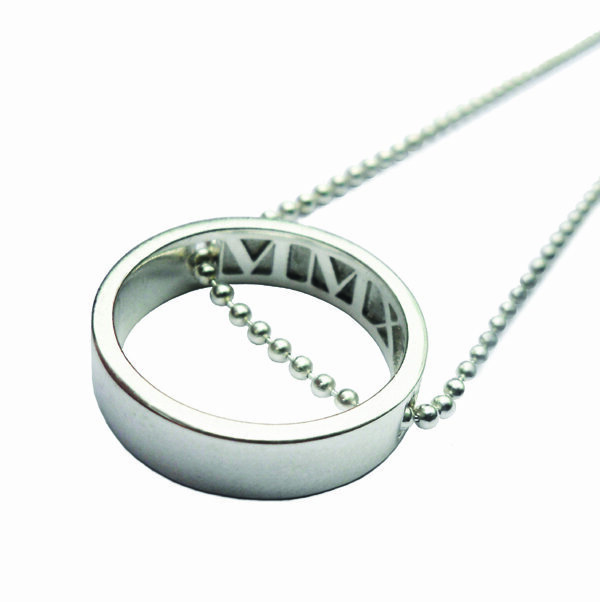 Mark your occasion with this unique, personalised ring that holds a special word or date on its inside face. 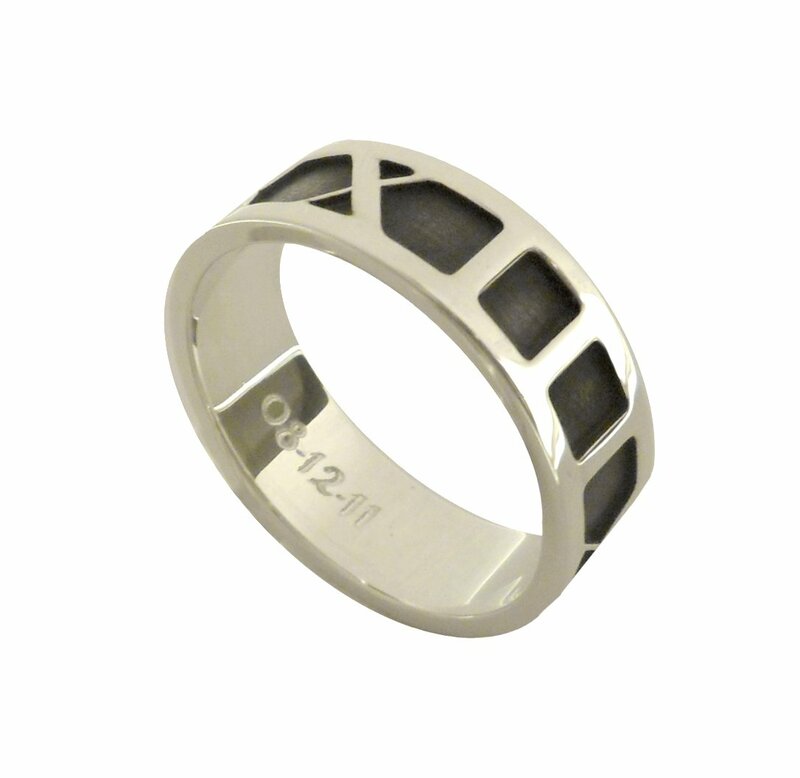 Your ring will be custom made with a band width of 4,5,6,7 or 8mm and comes in any finger size above H. You can choose from a polished or matt-brushed finish. This custom ring has a lead time of 2-4weeks, so please let us know the specific date it is required for.